I vividly remember my first conversation with Kristen & Greg. It was a video chat since they live in Boston. I was nervous as I always am when I first "meet" clients. That lasted for about thirty seconds. I immediately felt like I was talking to two old friends. I could truly tell how much they loved each other in the excitement in their voices when we talked about how they met and wedding specifics. I live for these moments with my clients. 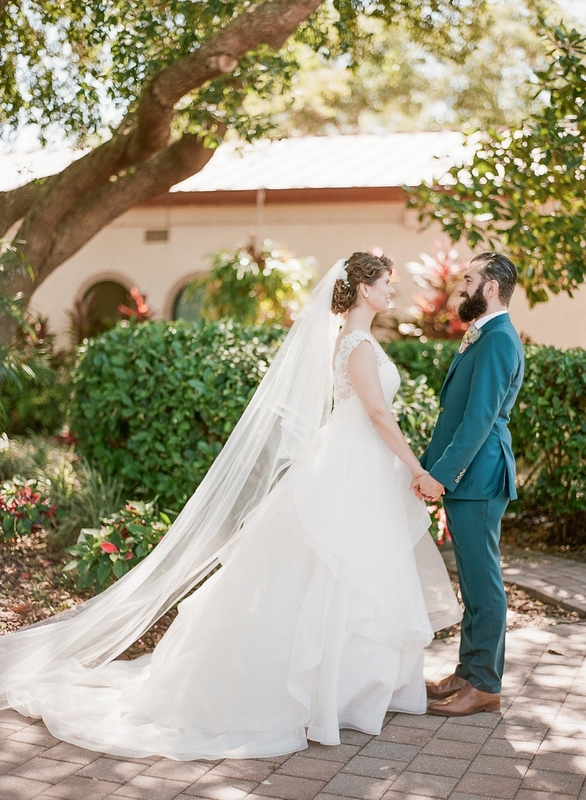 Kristen and Greg came up with their own color palette and it was love at first site for me. Look how fun?! Kristen and Greg are a great team. 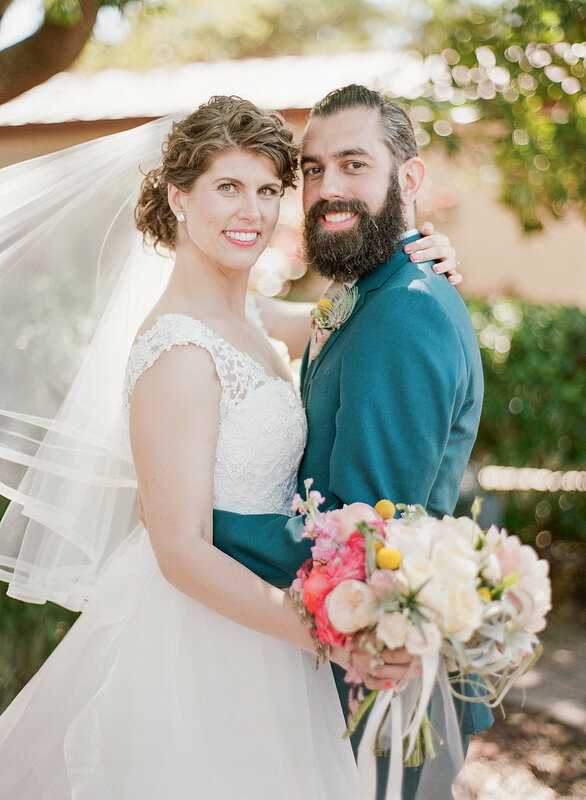 They supported each other throughout the planning process and it was a breath of fresh air. They are so thoughtful and they treated me more like a friend than a vendor. I love their venue for several reasons. It's a local non-profit that provides art classes to the community that is located in an old train station. You know I love supporting the arts! The historic brick, big windows and old railroad doors are beautiful pieces of character that I love! The event space is a nice blank canvas but full of character-my kind of venue! When I was going through wedding details with them there were a few areas that they really wanted to be non-traditional. I could tell they were maybe a little nervous to tell me and when they did I was very excited! I welcome my clients to let their personalities show in the details and not be afraid to go against the norm. I love that they opted for an ice cream sandwich stand instead of a wedding cake. I heard a lot of guests say "best wedding ever!" after they picked out their ice cream sandwich by A Cow Named Moo. I have to agree, it was one of the best days ever! I also loved that they ditched their fancy ceremony shoes for some sweet dancing shoes, look at those Converse! Another detail I loved were the place cards and table numbers. 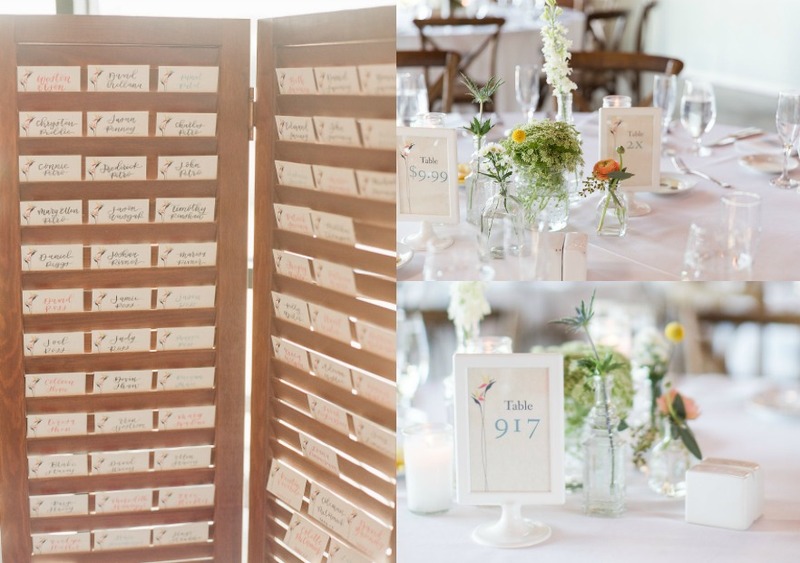 They decided to play a little trick on their guests and number the tables with numbers that had meaning to them. I think my personal fav was table $9.99, the cost of their favorite clam chowder. On the back of the table number it explained the meaning behind the unique number. When guests were heading to their table I am sure they had a good laugh and it set the mood for the whole reception. 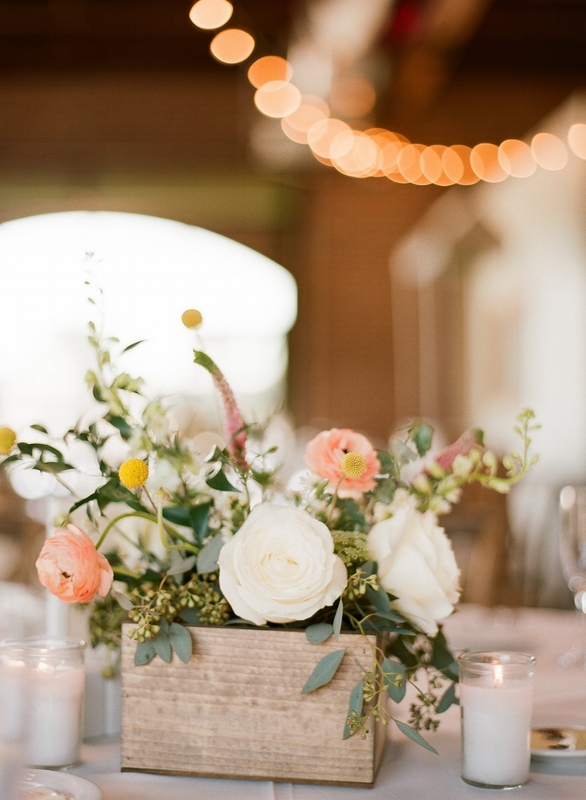 Kristen and Greg's goal was to have a wedding that was classy but not too stuffy and I think their fun table numbers helped set the tone for that. I love how the reception design came together. I knew I wanted the centerpieces to be colorful like their color palette. The flowers used each color except teal and Kristen and Greg really wanted to incorporate more teal into their reception. 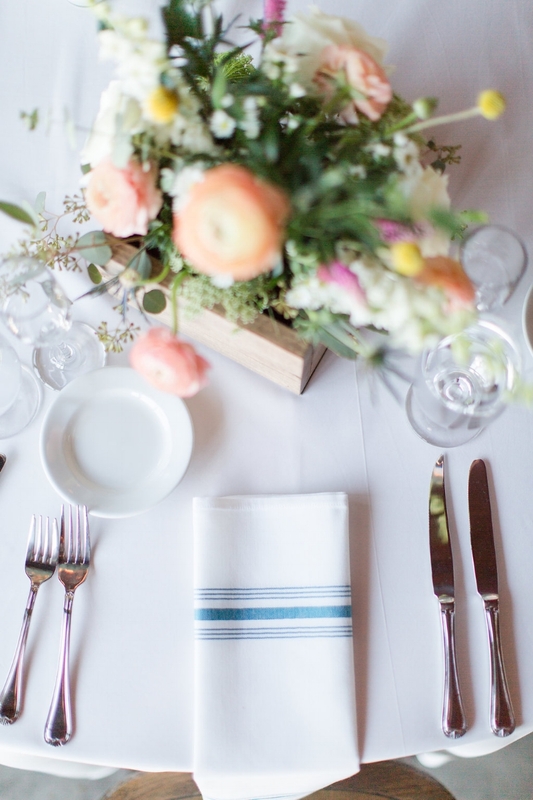 I proposed a bistro napkin with a teal stripe and I think it added the perfect pop of color to the table. Teal can sometimes be an overpowering color and I wanted to avoid that. Kristen and Greg, thank you for trusting me to design your wedding. It was truly an honor to work with you to create a special day. I will truly miss working together and I wish you two a lifetime of happiness!